Who’s ready for a blast of colour? 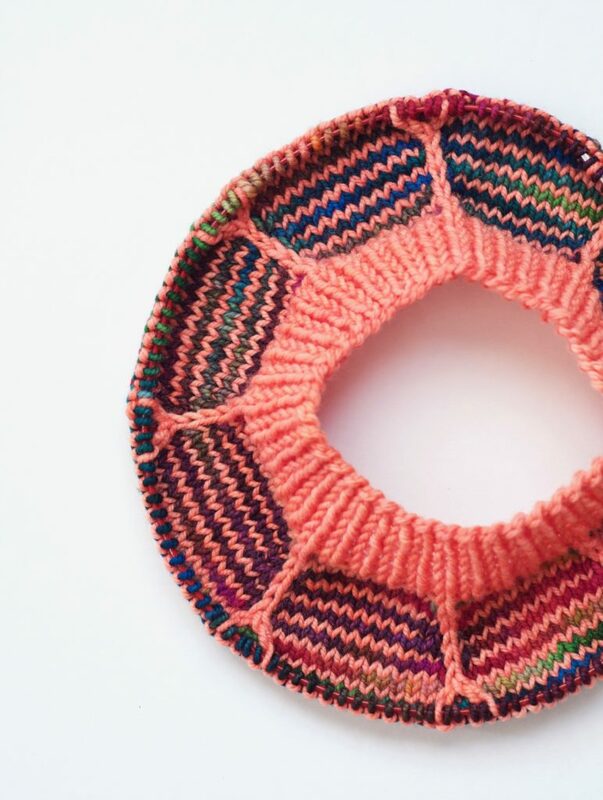 Stephanie Lotven of Tellybean Knits joins us today with a blast of brightness. Find her patterns on Ravelry. Check her out on Instagram. Color! I love rainbows, and I am constantly looking for new ways to work rainbows into my designs. I blame my 2 girls for this obsession. I’m a full time designer and full time mom, so I’ve basically quit sleep. Right now I love knitting mittens. I’m crazy for mittens. They are so quick and satisfying. 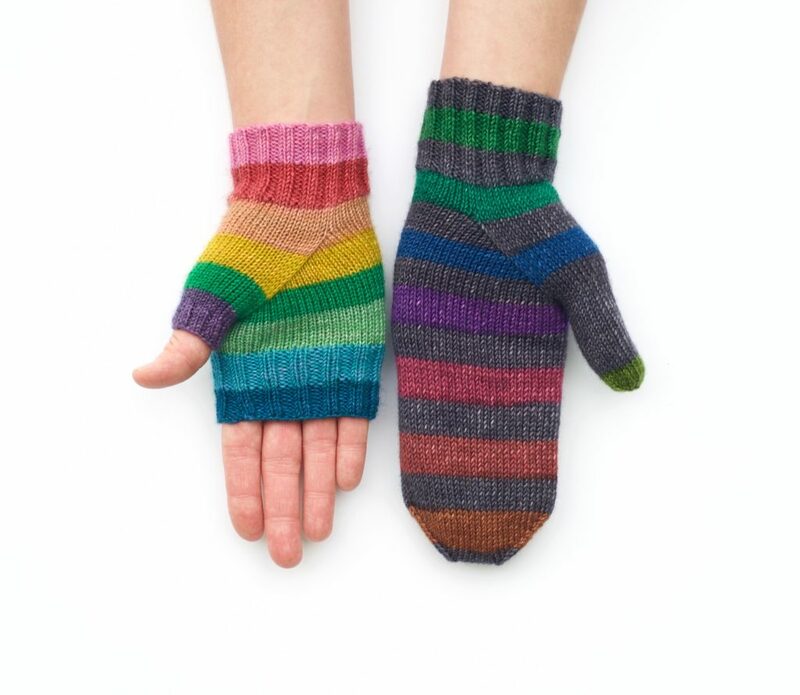 I like to go a little color crazy, and mittens are the perfect place to experiment with colors. Hats. I love getting knitted hats. I never knit them for myself, so I love receiving them as gifts. How little knitting is involved. I spend 90% of my time working on marketing, photography, formatting, or customer service. 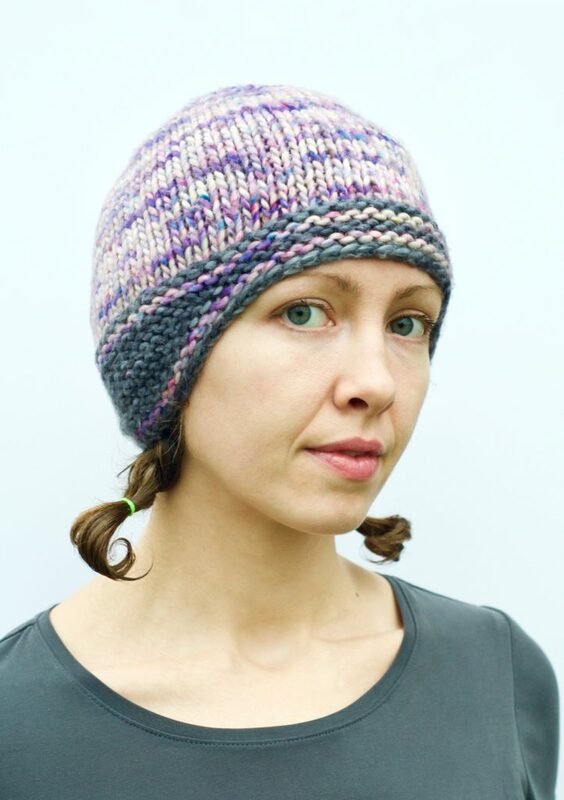 I love all of it, but I thought I would be knitting more when I started designing.